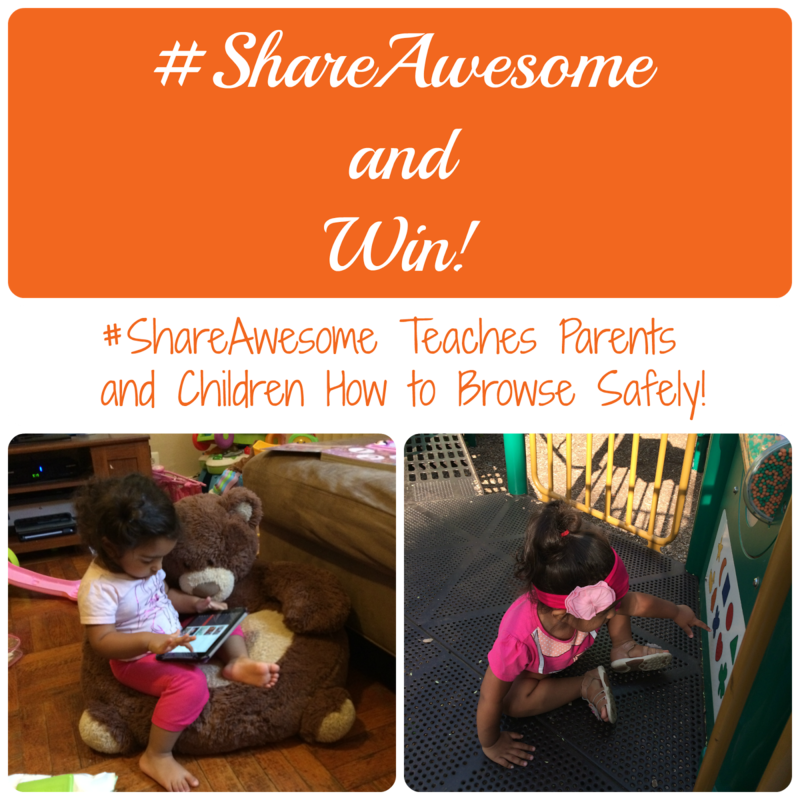 #ShareAwesome Teaches Parents and Children How to Browse Safely! Before becoming a stay at home mom I was a technology teacher for a middle school in my neighborhood. We were a 1:1 school meaning that each kid had their own laptop to use at school. The very first lessons I taught my students were how to use the computer and Internet safely. I also sent out materials to parents to help them monitor their children at home. Now that my toddler is an iPad expert I have to become that parent that has to monitor what her child is doing. I make sure that every app that is on her iPad is age appropriate and that the settings on each app is set to not share any information. When she is on Netflix she is only allowed to use the kids setting and she can only use YouTube when I am actively monitoring her. The National PTA and LifeLock have partnered to share awesome ways that families can create an open conversation about positive and safe decisions when using digital devices. By teaching children the positive ways they can use digital devices it will help them make good choices when they are connected. The #ShareAwesome campaign teaches parents how to have conversations with their children in ways that are natural so that they don't feel scared about it or nagged. They want to build an understanding between the parents and students so that they can practice safe skills whenever they are using a device, app or networking site both offline and online. 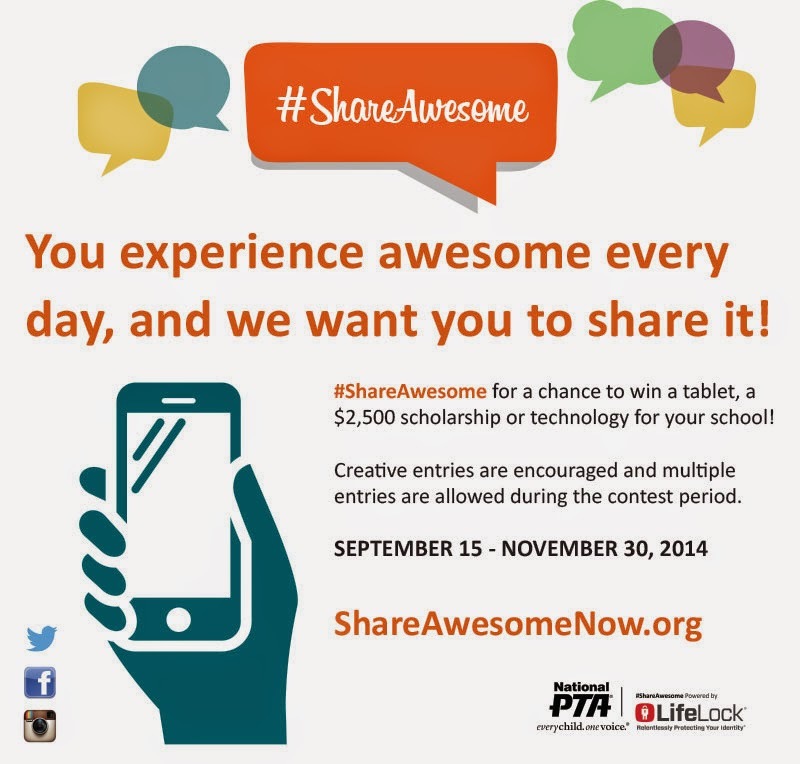 The ShareAwesome website gives tips and information on how to make these lessons fun and celebratory where children, tweens, teens and adults can all understand the same thing. They have sections for home and school, and parents and students. As soon as I visited the site I took the parents quiz and learned some tips on how I could improve on my safety lessons with my daughter. How do you teach your children to use digital devices safely both online and offline? Great Post. My Child is ALSO an ipad expert! Very cool!! I love seeing when kids are so techy! That's great! I have to watch what my kids do as well on the ipads and ipods. I'm greatful though that its easy to disable the internet on them and to use the restritions and guided access. Other devices are not so kid friendly. My kids are a bit older, so I'm constanly monitoring what they are watching on TV and their phones. I believe it's good for young children to be exposed to ipads and ipods. There are many great learning programs, we just have to watch what they are doing at all times. I am so nervous about my daughter getting more curious about the internet. We have already started banning sites. My kids are excellent at technology. But they younger ones are always supervised. My daughter will be 2 in January, and its amazing how she can navigate my phone to watch barney and Barbie on YouTube. We monitor everything this kids do online. It seems though you have to because something is always lurking ready to expose their little minds. We have parent control on everything and we look at what they are watching on the iPad, computer and phones.